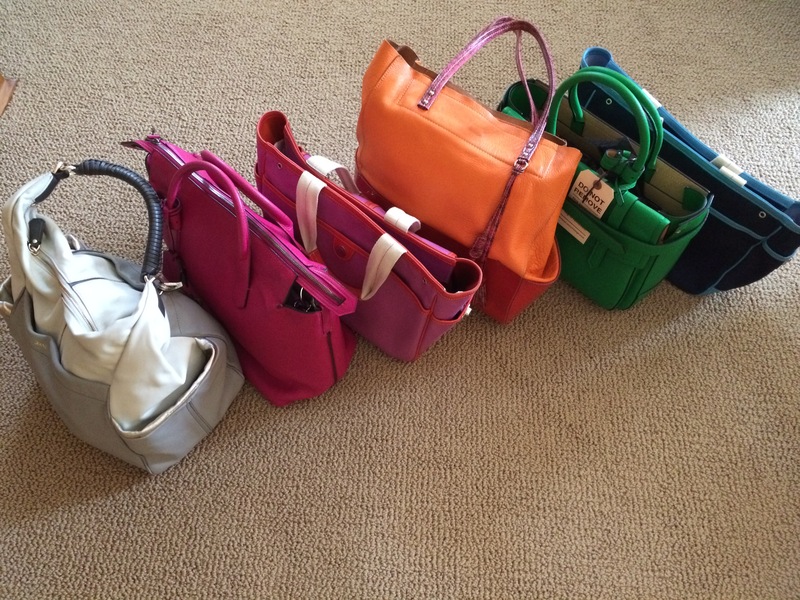 This client was very frustrated with the arrangement of her purses. She often forgot some that she owned because they were buried and too challenging to dig out to use. So we came up with this solution for easy identification and access: keep them stored away, but photograph the purses and put their images on the exterior of their storage bins! Photo of purses after contained in bins. This may not look all that pretty, but the bin keeps the purses from sliding off the shelf. The client already owned the bins so we just re-purposed them! Purses organized in bins with a clear window. I took photos of the purses and cut them down to size to fit in the window. The photo reflects what purses are inside. Purses in bins with photos attached in clear plastic bags. Also some purses just have a photo attached to it, and we plan on putting the purse in a cloth bag which will prevent knowing what is inside the cloth bag so the photo will provide identification.